Noting that cases of abuse against the elderly continue to be reported, especially through the social media, with netizens posting videos of older persons experiencing verbal and physical abuse from their own families as perpetrators, the Department of Social Welfare and Development (DSWD) is pilot testing a project dubbed as Reporting System and Prevention Program for Elder Abuse Cases (ReSPPEC). Initially, the project will be implemented in four island clusters, namely: San Carlos, Pangasinan for Luzon; Lambunao, Iloilo for the Visayas; Maco, Compostela Valley for Mindanao; and, Valenzuela City for the National Capital Region. This projects aims to protect the rights of older persons against all forms of abuse through the establishment of local reporting mechanisms and access to necessary services for their full rehabilitation and recovery. “Nakakaalarma ang mga kaso ng pang-aabuso sa mga nakatatanda, kaya’t hinihimok namin ang mga tao sa komunidad na maging alerto at mapagmatyag at i-report kaagad sa mga awtoridad ang mga ganitong kaso (Cases of elderly abuse are alarming, we encourage people in the communities to be alert and observant and immediately report sucsituations),” Sec. Taguiwalo pointed out. 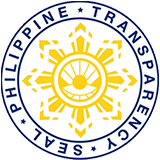 ReSPPEC involves the creation of a Protective Committee for Senior Citizens (PCSC) at the barangay, which will investigate, assess, manage, document, and fully implement the reporting system for elderly abuse cases in the community; and, the establishment of a Barangay Senior Citizens’ Information and Reporting Desk to be set-up at the Barangay Hall where the report will be entertained. An officer of the day from the members of the PCSC shall take charge of the reported elderly abuse. Likewise, a Reporting System for Elderly Abuse through barangay resolutions and ordinances, protocols and operating procedures for responding elder abuse shall be crafted to guide implementers in responding to situations of elder abuse or suspected elder abuse in the community. The DSWD will also launch an advocacy campaign targeting male or female elders who are victims of any form of abuse, caregivers and family members, and suspected elder abusers. Sec. Taguiwalo added that this new program will uphold the rights of the older persons’ sector.